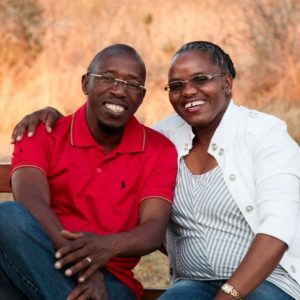 Jack and Maria Msiza are veteran houseparents! They have been raising children at Bethesda since 2009 marking 10 years this past January. They know the ups and downs of parenting a large group of children and continue to trust God and grow in their love for the Lord and for the children in their home. Often, people ask them which children are “theirs” (meaning their biological children), but they always have the same answer, “All of them!” Jack and Maria work so hard to communicate their love, discipline, knowledge of the Gospel, and the love of God to their kids. They teach a strong work ethic and yet give the children freedom to grow and learn on their own too. If you want some encouragement from someone who knows the joys and challenges of houseparenting, take 5 minutes to watch & listen to Jack and Maria as they share their hearts.They will encourage you with their humbleness and godly perspective. We are blessed to have them!